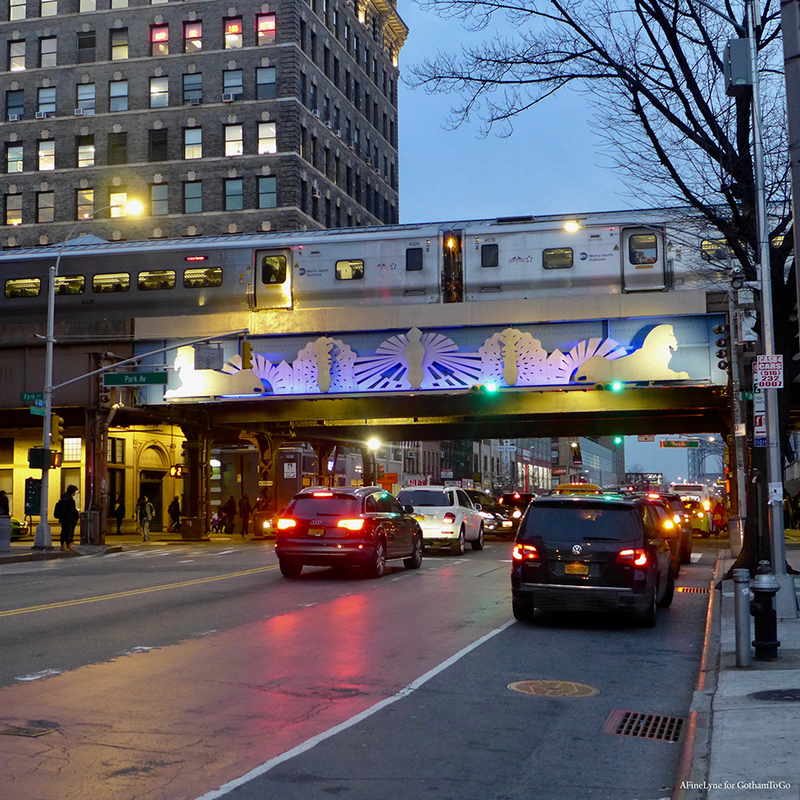 Kicking-off the New Year with a Parade at the 145th Street and Lenox Avenue subway station, through MTA Arts & Design. 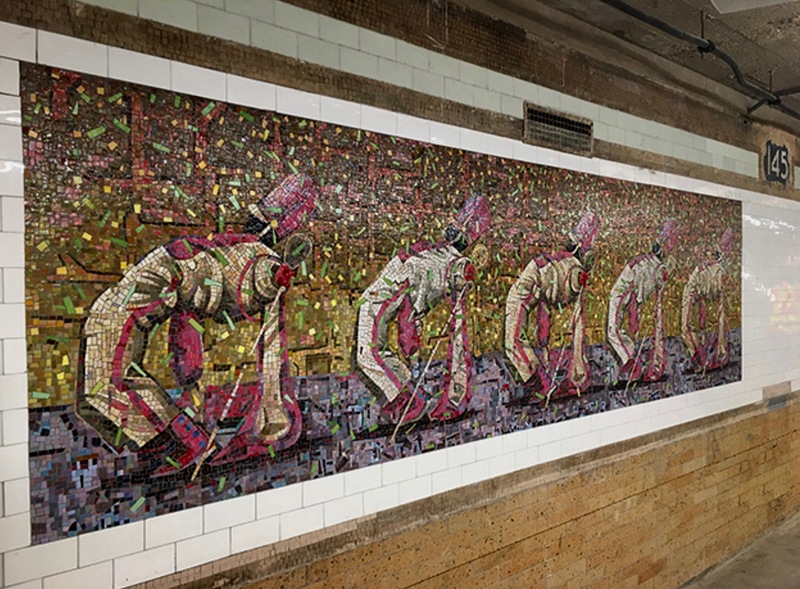 Parade, 2018 by Harlem-based artist Derek Fordjour celebrates the African-American parade tradition in all its pageantry. 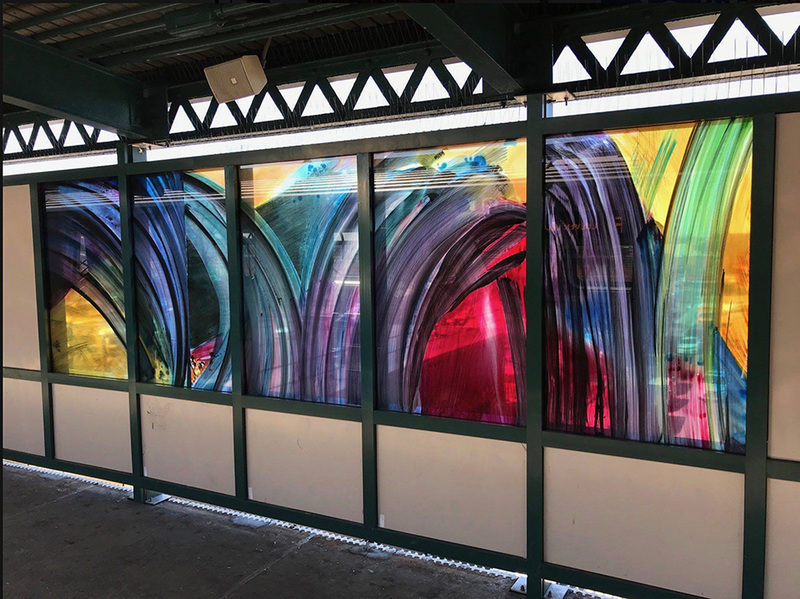 Nine stations on the Culver line (F train) in Brooklyn have re-opened with new MTA Arts & Design Projects, in laminated glass and metal, by eight different artists. Using the theme of the multicultural neighborhood surrounding each station, the artists created colorful permanent artworks mimicking the people who stand on these platforms every day. 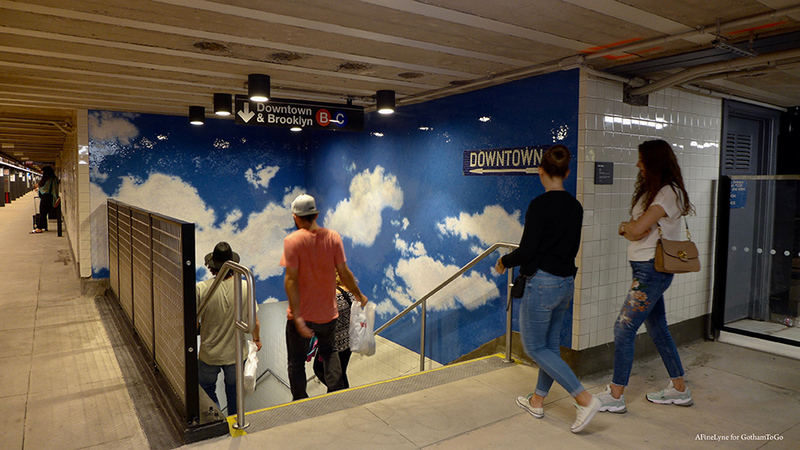 Below are the eight stations and their new, permanent art installations.